The US Embassy expressed their support to our reading gardens by donating 99 books, written in Indonesian language. They sent us the package all the way from their office in Jakarta to our coordinator’s house in Labuan Bajo, Flores! The 99 books consisted of novels and auto-biography of Barrack Obama, books about the USA and two titles of children books. The books have the same titles, but they gave us several copies for each title to be distributed for our reading gardens evenly. 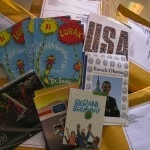 We thanked the US Embassy Jakarta for the books donation! We had distributed these books to each location of our reading gardens. As for the novels and books for the adults, we have sent them to our local partner, Taman Bacaan Sano Nggoang, which provide books for teens and adults. They were very happy receiving the package! Now their books collection are growing as a result of their partnership with us. Yeahhh!!! Taman Bacaan Pelangi [Rainbow Reading Gardens] is a non-profit organisation working to establish children’s libraries in remote areas of Eastern Indonesia since 2009. 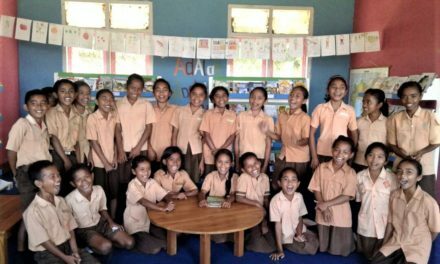 We have established 105 children's libraries in remote areas of Eastern Indonesia. 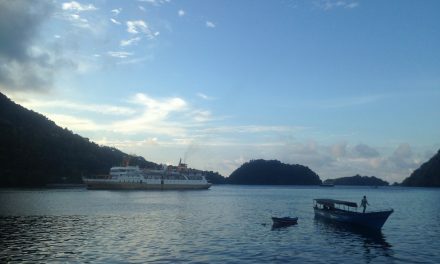 Want to visit our libraries and have a great holiday in Flores at the same time? Contact Travel Sparks to make it happen! Support our work by donating funds or children's books.